the will do the job but they will usually have some drawbacks that I don’t like. else to watch movies at home or listen to music in the car. 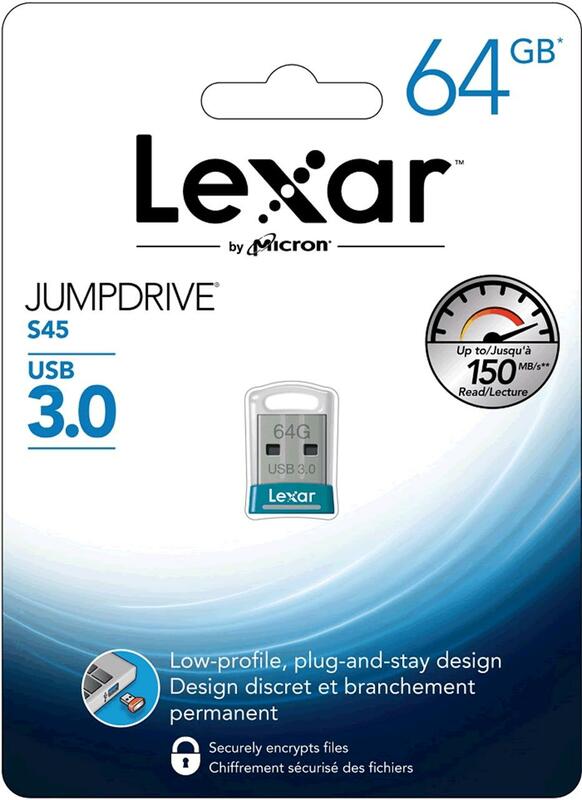 look at the Lexar S45 USB3.0 flash drive package. 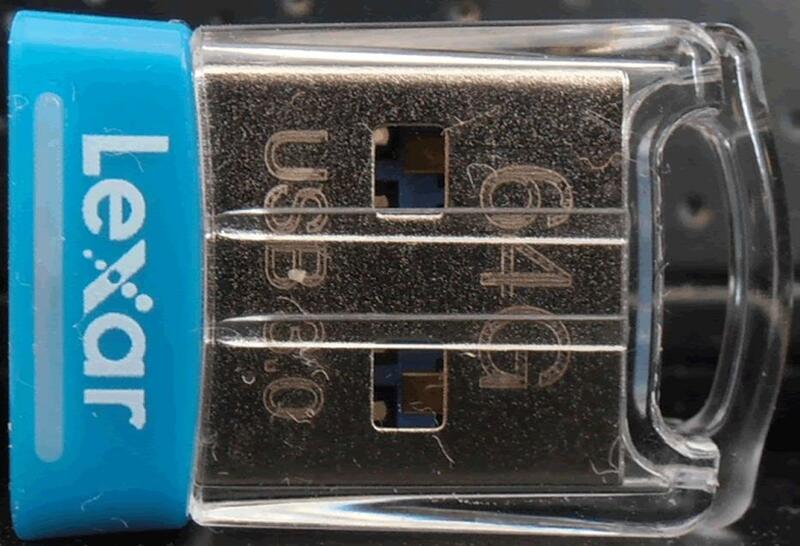 of the Lexar S45 USB3 flash drive. 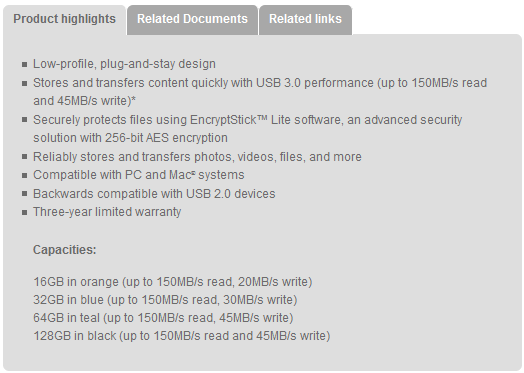 information that we need about the S45, and in the middle there is the drive. plastic there is a blue LED. the Lexar S45 as they appear on the website. 45MB/sec. 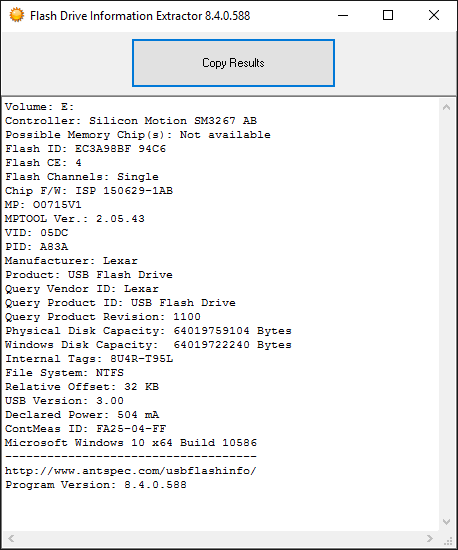 The read speed for all of them is identical, 150MB/sec. 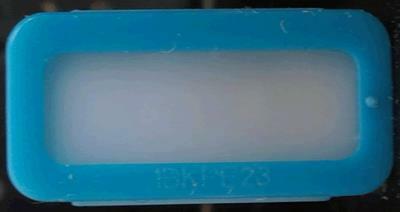 about the memory, but we are sure that it’s made by micron. start with the a few synthetic benchmarks.